Whether you’re new to email marketing or a seasoned campaigner, you’re probably familiar with the term “automation”. In fact, it’s probably something you’re already doing in a really simple way with email autoresponders. What you may not know is that with the right planning and the right tools, there are some really clever ways that automation can help you succeed with your email marketing. And they’re actually pretty easy to do. 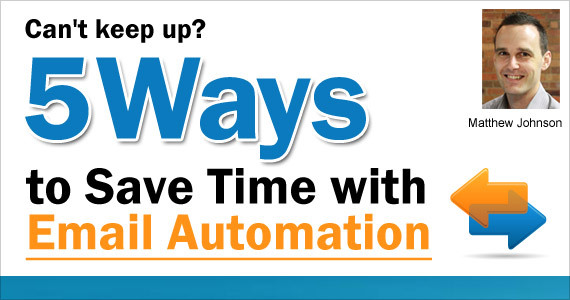 Here are 5 common types of email campaigns made easier with automation. This automated campaign is best practice when it comes to gaining consent with new subscribers. It works by triggering a confirmation email to a new subscriber once they submit the subscription form. The email contains a confirmation link which marks the subscriber as having double opted-in within the database. Once clicked, a second step triggers a welcome email to the new subscriber welcoming them on board. These types of campaigns are excellent for lead nurturing as they allow you to guide a prospect down a desired path by delivering timely and relevant content. They work by triggering each part of a newsletter series over specified timeframes. For example, when someone subscribes to your newsletter series, immediately trigger them the first email in the series. One week later at 9am trigger the second email and so on for the remaining emails within the series. 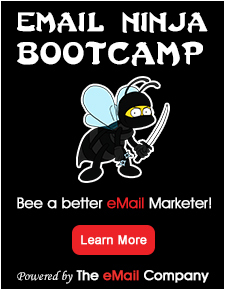 A single-step campaign that triggers a customer an email on the morning of their birthday. This is an excellent way to build relationships with customers. For best effect, ensure the message has a personal touch and include a special offer in the email as a way of saying “happy birthday”. Automation is a huge time saver when it comes to managing communications for an event. The “set and forget” aspect of the campaign allows you to focus more time and energy into other aspects of your event management. Event campaigns begin by triggering a thank you / confirmation email to someone immediately after submitting your event registration form. This is followed with an event reminder email and/or SMS message triggered to registrants on pre-determined dates before the event. A final step is to trigger a post event survey email to attendees 1 day after the event. This is a really simple, but clever way to maintain a clean database as it kicks in automatically when an email sent to a customer bounces. If a mobile phone number exists in your database, you automatically trigger an SMS asking the customer to reply with their current email address. The database automatically captures the new email address via reply SMS and triggers them the original email message to the updated address. If no mobile phone number exists, a notification email is triggered to your sales team for them to place a phone call to the customer asking for an alternative email address.